I was pleasantly surprised to open up this week's new releases for the PSN and to see the Sword Art Online PS Vita game now released for PS4. 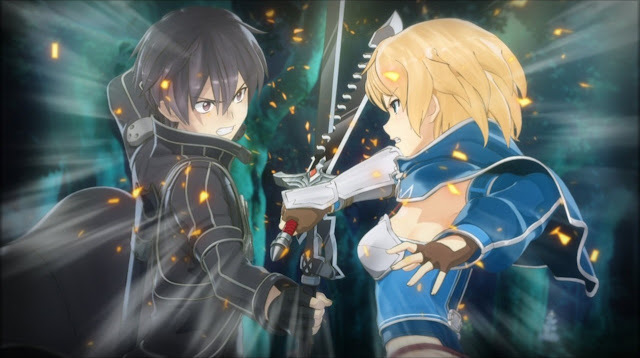 Hollow Fragment has been talked about a bit by JRPG fans online (no doubt for it's anime popularity and being a pretty cool concept for a game) and I haven't played it yet, so I'm so very keen to play it on PS4. The PS4 still needs way more JRPGs, but I'm so happy to see this hitting the consoles and I hope there are more to come. Also featured on the PSN this week are a few deals that appear to be the same as last week, so if you missed out them, this is the best time to pick up those games. Enjoy, stay safe, have a good week and happy gaming! Pick of the week: Sword Art Online Re: Hollow Fragment. If you haven't played it on Vita, this is the time. Gotta love some JRPG PS4 action!